The following article was written by Siobhan Hegarty for The Spirit of Things and published on the ABC website: 24 Oct 2017, 11:28am. Photos by Fiona Pepper. Campfire detail: A detail image of the artwork Campsite, by Hugh Foster. Fourteen thousand Chinese men trekked nearly 400km from the South Australian coast to Victoria’s goldfields in 1857.With them was a young woman. Her true name remains a mystery, but official records show that year a lone woman came to Robe in South Australia from the Guangdong Province. 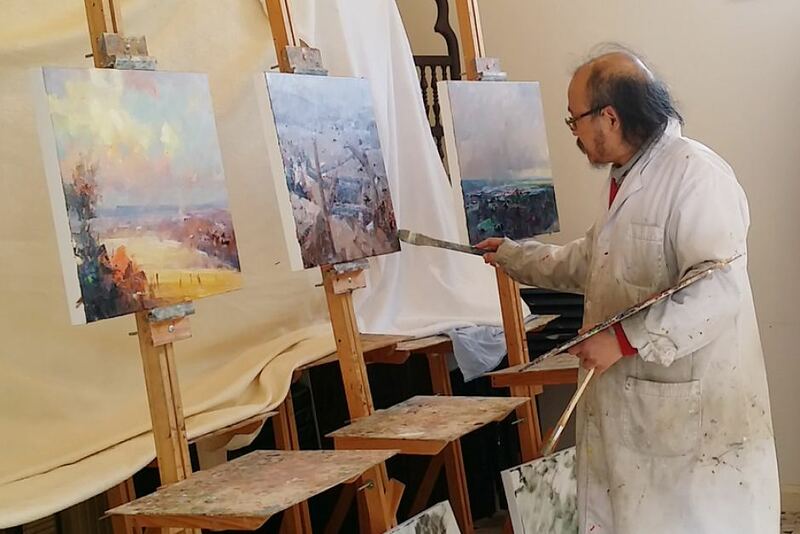 Now, the story of her arrival is the starting point for a new exhibition in Ararat by a group of Australian artists — which aims to honour the Chinese heritage of the Victorian goldfields. Hope: From Robe to Riches tells the story of a fictional woman named Mei Ling — as imagined by artist Joanne Sullivan and her anthropologist mother Norma, a specialist in China and South-East Asia. Joanne and Norma Sullivan are the masterminds behind the exhibition. 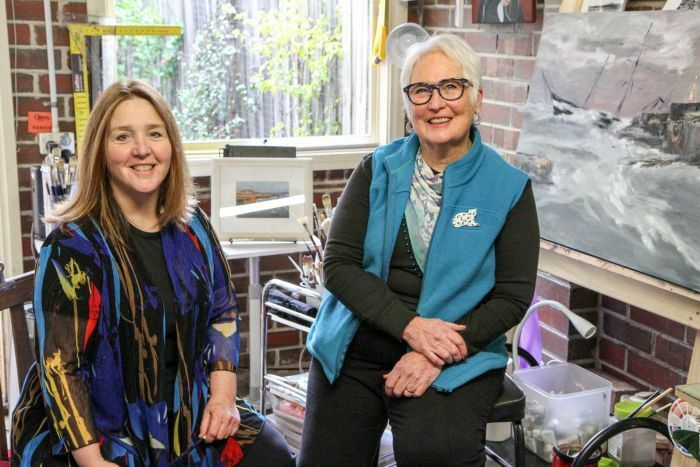 Inspired by a visit to Ararat — Australia’s only town founded by Chinese immigrants — Dr Sullivan and her mother embarked on a week-long painting trip along the famed gold mining route.During their journey, she says local librarians, researchers and authors told them about an enigmatic arrival in Robe. “They all explained repeatedly that there was this unknown, unnamed woman who was in the books but disappeared off their records after she left Robe,” Dr Sullivan says. Mei Ling with pony. 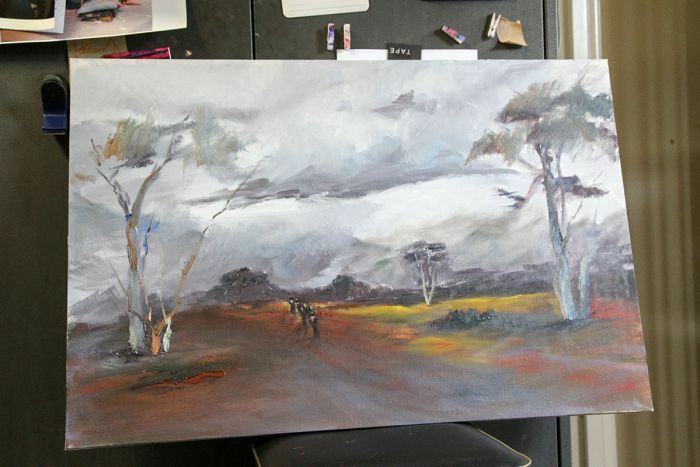 The woman, depicted in this artwork by Gwendoline Krumins, came to Australia in search of her brother. 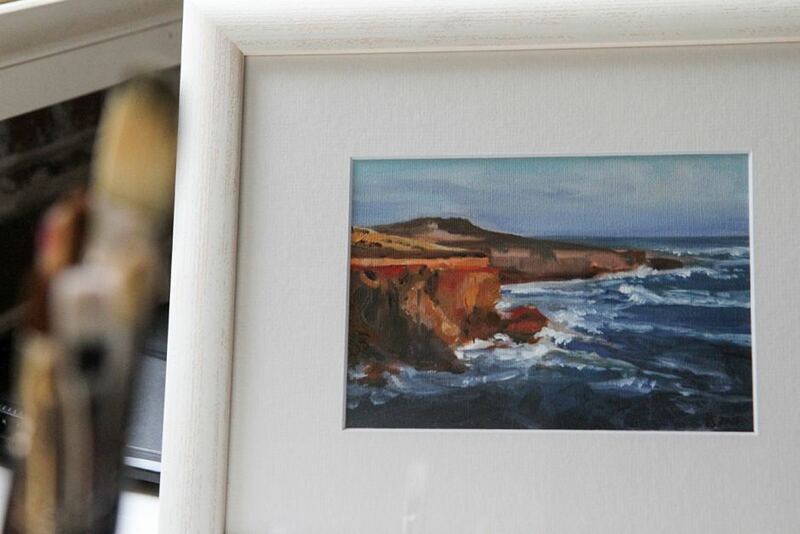 The Sullivans’ exhibition, captured not only through the artworks, but a series of time-lapse YouTube videos, weaves a story about an extraordinary woman who crosses the ocean and walks hundreds of kilometres. Facing racism, bandit attacks and worse, Mei Ling comes to Australia in search of her brother — who had left China for the goldfields less than a year earlier, but was feared dead after he stopped replying to letters. Like many of her countrymen, Mei Ling lands in the South Australian port town of Robe to avoid the 10 pound tax placed upon Chinese arrivals in Victoria. This policy, put in place in 1855, was part of Victoria’s Chinese Immigration Act and a precursor to the White Australia policy. In this aspect of the story, there is no fiction. 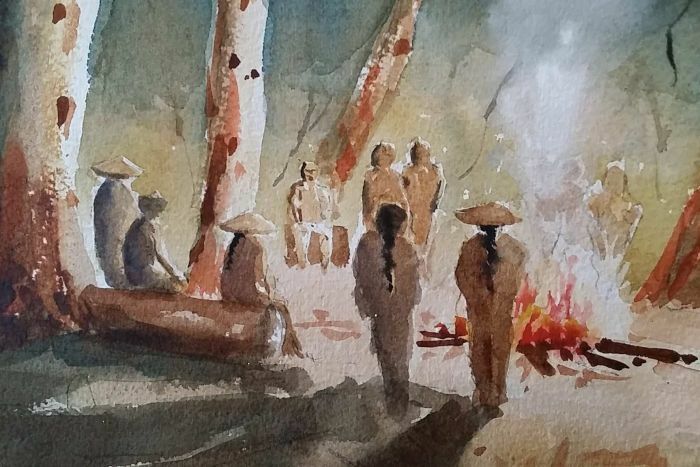 What the Chinese miners’ would have seen on their arrival at Robe, SA, as imagined by artist Joanne Sullivan. While Robe-bound ships evaded Victoria’s hefty tax, travellers were still forced to pay a one pound fee for a rowboat to shore. Those unable or unwilling to pay this unforeseen cost attempted to swim to shore but, under the weight of belongings attached to bamboo poles, many drowned. In the Sullivans’ story, Mei Ling is chaperoned by extended family members and people from her hometown on her journey by sea. Able to afford the rowboat, she makes it to shore safely, arriving in April 1857. 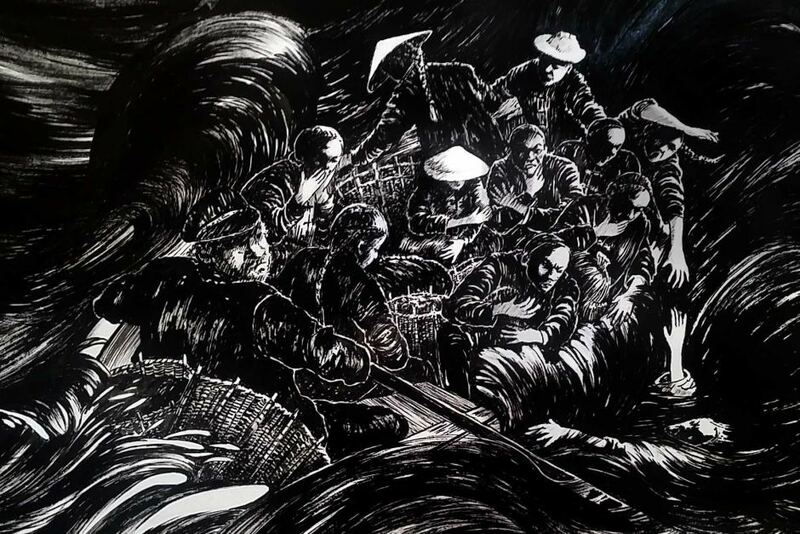 Sea Scene: This artwork by Gwendoline Krumins depicts the new arrivals’ dangerous transfer to shore at Robe. Then, with the assistance of townspeople and Chinese elders, she finds a seat on a bullock dray headed for the town of Penola. But when she crosses the Victorian border her good fortune comes to an end. The journey from Robe to the Victorian goldfields proved treacherous — in fact and fiction — for various reasons. Anti-Chinese sentiments ran high, and by 1857 heightened tensions led to several violent incidents, including the Buckland River clash — in which Chinese miners were trampled, robbed, beaten and expelled from a camp in their thousands. Searching for shelter, an artwork by Norma Sullivan. Bandits were another concern for travellers, particularly those walking alone or in small groups. To thwart attacks, Chinese miners would form large packs, often in the hundreds, and walk in single file towards their destination. An attack by bandits near the border leaves Mei Ling on the verge of death and separated from her clan. 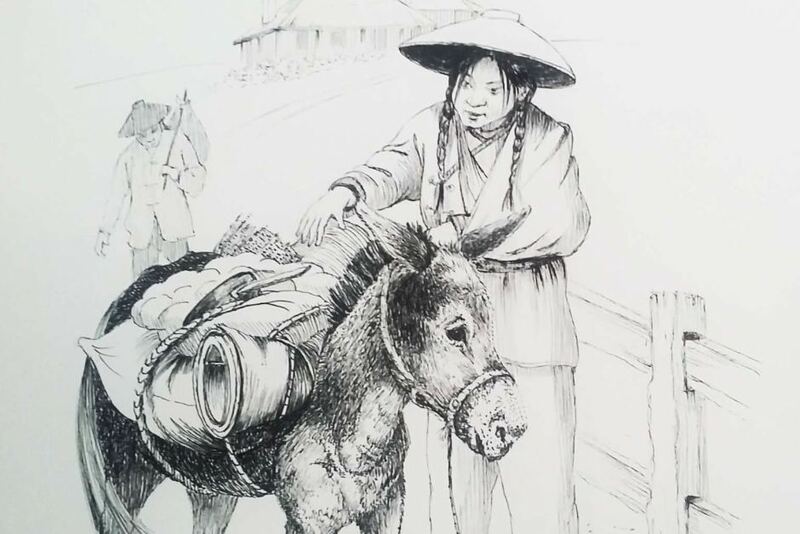 She is nursed to health by local settlers and, upon recommencing her journey, is joined by a 14-year-old Chinese boy and the son of a settler. They continue towards Canton Lead in Ararat, where Chinese miners had uncovered rich goldfields. News of that discovery heightened the resentment among European and American prospectors towards Chinese miners. 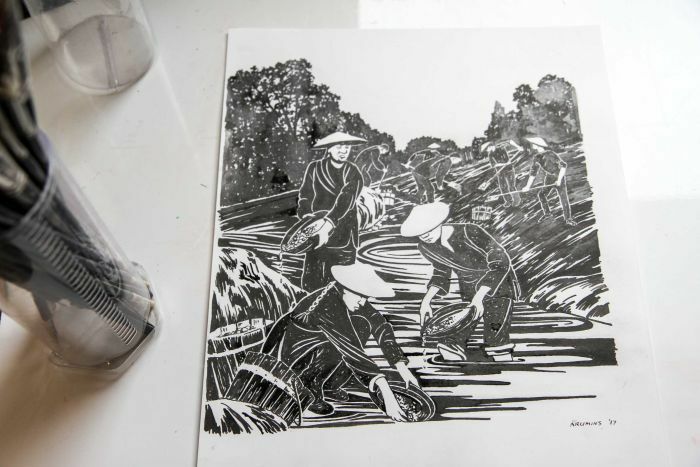 An artwork by Gwendoline Krumins, depicting Chinese men panning for gold. By May 1857, there had been several violent attacks against the Chinese. In the Sullivans’ story, among this bedlam, Mei Ling finds her brother — alive but beaten unconscious while trying to protect a significant amount of gold. After recovering, her brother stays on to dig in the goldfields, before joining his uncle in Melbourne to work at a furniture business. Mei Ling, meanwhile, returns to China with half of the gold her brother found, as per her parents’ wishes. Aptly, the Sullivans’ exhibition will be on display at Gum San Chinese Heritage Centre in Ararat from September 24, 2017 for six weeks, tying in with the town’s 160th birthday. David Chen is one of the artists in taking part in Hope: From Robe to Riches. Featuring works from six Victorian artists — David Chen, Gwendoline Krumins, Hugh Foster and Clive Sinclair, along with Joanne and Norma — the series visually chronicles Mei Ling’s journey. It’s impossible to know exactly how many Chinese gold seekers died on their journey to find fortunes in Australia. As well as shedding light on their relatively unknown stories, Dr Sullivan says the exhibition aims to give back to the local community. “In the cemetery at Ararat there’s a large new section for the Chinese miners who died along the way, whose bodies have been exhumed and relocated to that cemetery,” she explains. Listen to The Spirit of Things for an extended story. Next Is making a painting on your bucket list?